Congress is again debating work requirements in the context of programs to aid poor and low-income individuals and families. The last major debate in the 1990s both significantly expanded financial supports for working poor families with children and led to the enactment of the 1996 welfare reform law. That law created the Temporary Assistance for Needy Families (TANF) block grant, which time-limited federally funded aid and required work for families receiving cash assistance. Work requirements, time limits, and work incentives are intended to offset work disincentives in social assistance programs, promote a culture of work over dependency, and prioritize governmental resources. Another rationale for such policies is that without income from work, a person and his or her family members are almost certain to be poor. For many of these same reasons, some policymakers recently have expressed interest in extending mandatory work requirements and related policies—similar to those included in TANF—to the Supplemental Nutrition Assistance Program (SNAP) and housing assistance (public housing and the Section 8 Housing Choice Voucher program). 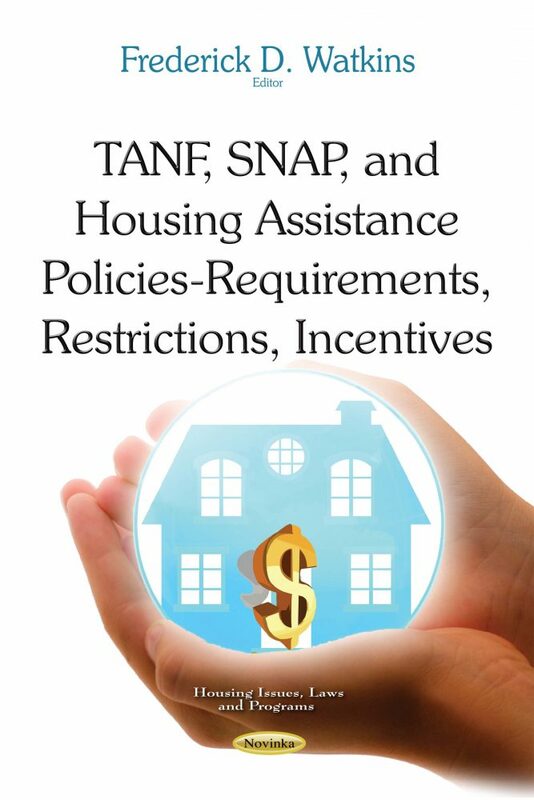 This book focuses on work requirement, time limit, and work incentive policies in three programs: the TANF block grant, SNAP, and housing assistance programs.